In 2012, when Lutfur Rahman, then Mayor of Tower Hamlets, proposed to sell Henry Moore’s sculpture Draped Seated Woman, he was widely condemned by the media and the art establishment alike, and a public campaign was launched to prevent the sale, generating a great deal of publicity. What most people do not know is that this public campaign had no impact and was not a factor in the decision to abandon the sale, which happened due to work done by a small team behind the scenes. Most importantly, the wider implications of this attempted sale appear to have passed everyone by. To understand the context and the scale of the issue we must go back to post-war London, when much of the city lay in ruins and the capital was a patchwork of bomb sites and partially demolished buildings. The country’s finances were in ruins also and the London Olympics of 1948 were known as the ‘austerity games’ due to the shoestring budget. As one of the associated cultural events, the London County Council held the first of a series of outdoor sculpture exhibitions. 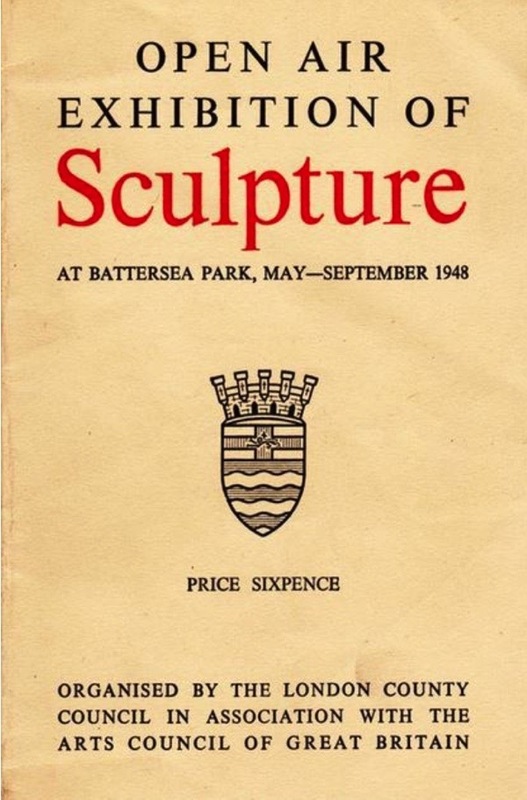 The first exhibition in 1948 was the precursor to the Patronage of the Arts Scheme, by which the LCC purchased sculptures to enrich the lives of Londoners as part of the post-war regeneration of the capital. 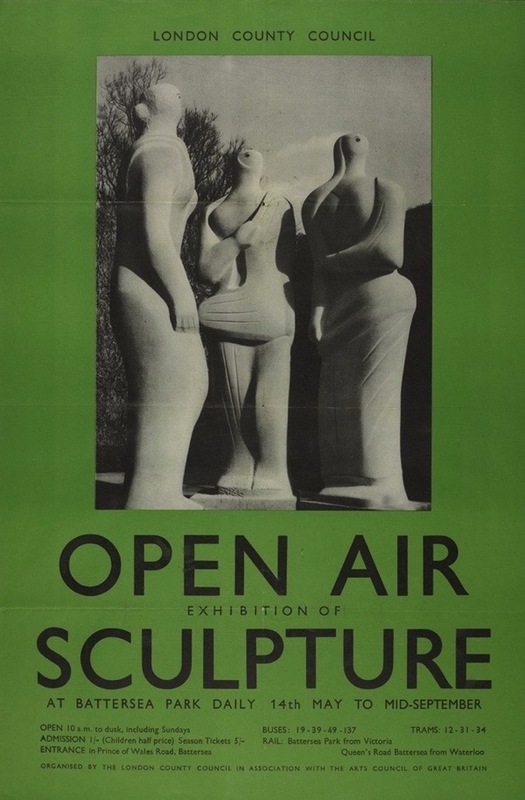 This exhibition was a milestone of public art in London, representing a move away from the display of traditional statuary into the open air display of contemporary public art for the enrichment of the lives of Londoners, and it planted the seeds that would grow into the Patronage of the Arts Scheme over the following decade. 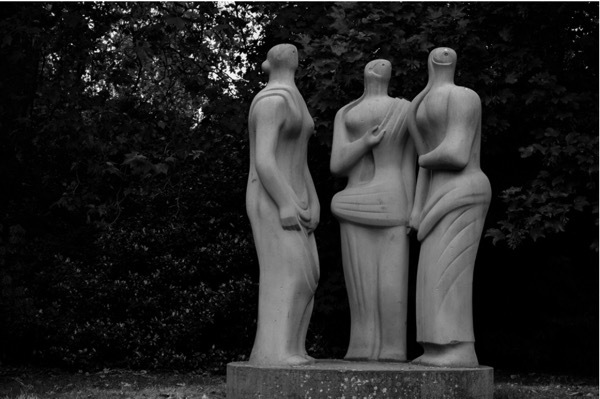 Following the exhibition, the Contemporary Art Society donated Henry Moore’s Three Standing Figures, 1947 to the LCC for permanent display at Battersea Park and this almost certainly triggered the scheme that resulted in the purchase of Draped Seated Woman some fourteen years later. 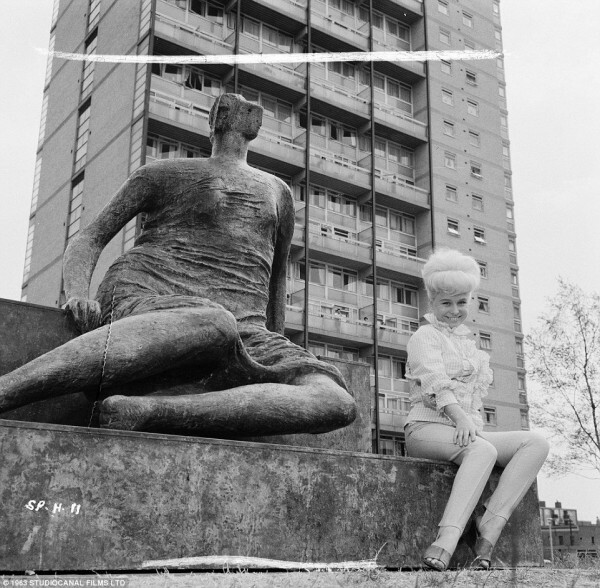 Like Draped Seated Woman, this sculpture was abandoned when the Greater London Council was closed in 1986 and is an orphan artwork. 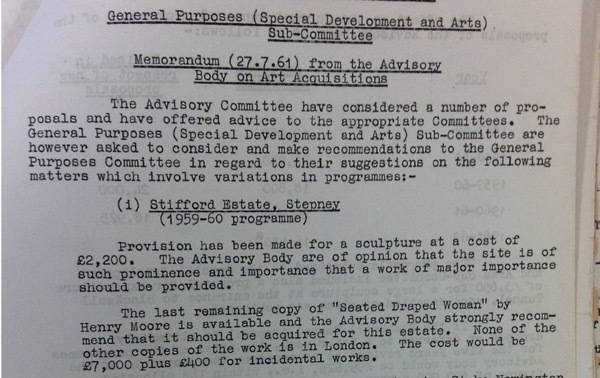 In 1956, a committee was formed to advise the LCC on the purchase of public art for London. Sir Alan Bowness, Director of the Tate Gallery from 1980–88, was a member and knew both Henry Moore and Sir Isaac Hayward, then leader of the LCC, who encouraged the siting of works of art on new housing estates, schools and in parks, so that they could be enjoyed by the people of London. 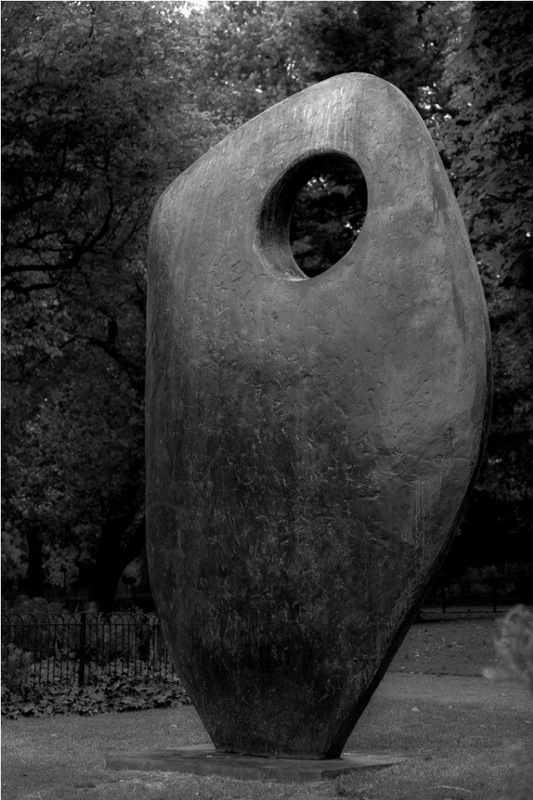 Over the life of the Patronage of the Arts Scheme around seventy pieces of public art were purchased for London, including five by Henry Moore, as well as works by leading artists such as Barbara Hepworth, Elizabeth Frink, Lynn Chadwick and others. You will no doubt have seen some of them dotted around London and perhaps never made the connection to the LCC. As became evident later, all of them are now orphans with no clear title of ownership. Their abandonment by the GLC, and subsequently the Department of the Environment, represents a staggering failure of governance during the closure of the GLC in 1986. A report was produced by GLC staff in 1983 recommending that the sculptures be put in trust for London but this was never followed through. After the GLC was closed, only the late Tony Banks MP pursued the matter in the House of Commons but with little success. Hansard records a series of exchanges that imply the government of the day knew about the sculptures and intended selling them to offset the cost of closing the GLC. Either way, when other artworks were transferred into and out of the London Residuary Body through a series of statutory instruments these sculptures were mysteriously left out. They were not sold or transferred, and instead were simply allowed to drift into ambiguity of ownership to the detriment of London. 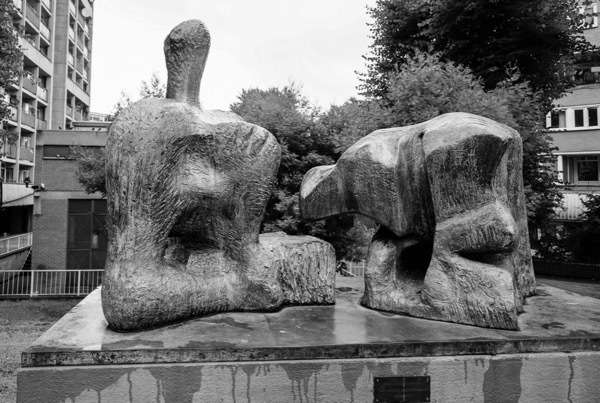 Since 1986, many of the sculptures have been stolen, mislaid, damaged or destroyed. In a period of austerity, they remain at grave risk of being lost, stolen by metal thieves or sold to bolster failing local authority budgets. Nobody has overall responsibility for this public collection which is worth tens of millions, and the various local authorities, schools and colleges where the sculptures stand appear to have no idea that they do not have clear title of ownership to the works in their possession. When I heard about the proposed sale of Old Flo by Tower Hamlets, I was determined to stop it. 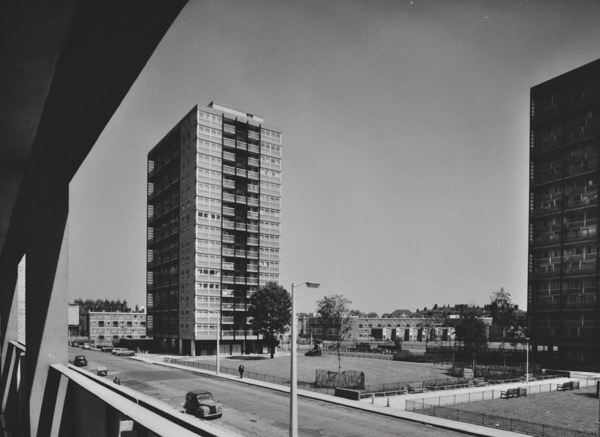 I had some knowledge of the sculpture – it was an important work that was based on Henry Moore’s shelter drawings and so had a particular resonance for London, given that Stepney where it had been based was one of the most heavily-bombed areas of the city. 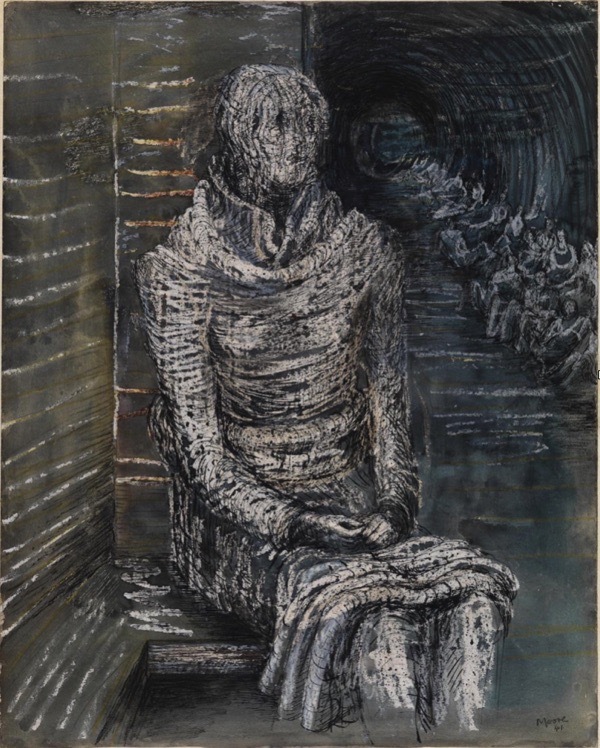 The drapery allowed Moore to create tension in the figure and, when you examine the shelter drawings, you can see the connection between those poignant drawings and this colossal sculpture. I always thought of this sculpture as being of a mother listening to the fall of bombs outside the shelter and wondering whether her children, her friends or her house would survive the bombardment. She represented for me a stoic figure full of resolve mixed with a sense of alertness, tension and vulnerability belied by her immense scale. In the end, Old Flo was saved by the actions of a small group of people. Working with the support of the Art Fund and Farrer & Co solicitors, who provided pro bono advice, five of us went to the London Metropolitan Archives to do the research into the original purchase of Old Flo. It proved to be an exciting journey into the murky history of art acquisition and the regeneration of post-war London. The story of this work of art began to reveal itself in the dusty, and often crumbling, minutes of the long defunct London County Council. 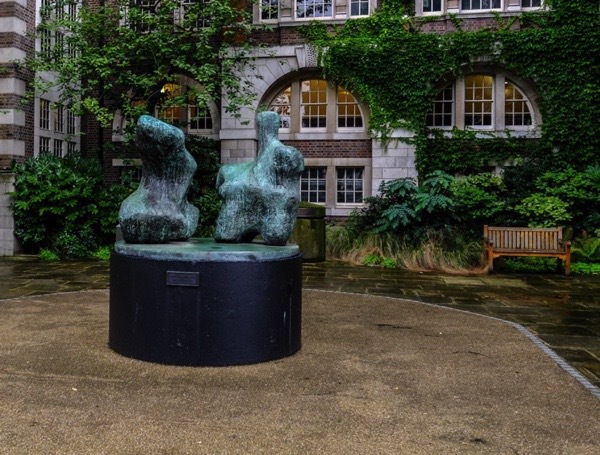 The original idea that the sculpture had been a gift to London by Henry Moore and was therefore held in trust turned out to be false, documentation showed it was purchased for a fair market rate by the LCC. We discovered that Old Flo had been bought for the Stifford Estate in Stepney by the London County Council. Then I tried to find out how it ended up in the hands of Tower Hamlets Council, which did not exist at that time. I followed the trail through the files, minutes, transfer documents and statutes, showing the demise of the LCC, the rise and fall of the GLC and the creation and closure of the London Residuary Body. Eventually, I discovered that title of ownership to the sculpture had never been transferred to Tower Hamlets at any time in its history. Consequently, they were not the owner and therefore had no right to sell it. The sculpture had gone from the LCC to the GLC and then, when the GLC was closed, had been transferred to the London Residuary Body. Subsequently, on the closure of the LRB, title of ownership to all seventy sculptures was accidentally transferred to the London Borough of Bromley via a ‘sweep-up’ order in 1997, even though Bromley had no knowledge of this. Working with the Art Fund we persuaded the London Borough of Bromley to lodge a legal challenge to the sale acting in their capacity as successor to the LRB. Bromley’s position was that the sculpture was a cultural asset and needed to be saved for London, and I have nothing but praise for their approach – they are the unacknowledged heroes of this case. As a result of their intervention, Tower Hamlets was forced to remove the sculpture from auction after it had been listed for sale by Christie’s for January 2013. The case then became like Jarndyce & Jarndyce in Bleak House, with both sides arguing that the sculpture was theirs. A long legal case ensued at which I was a witness in the Court of Chancery in 2015. Lutfur Rahman was removed from office for electoral irregularities. Meanwhile, the whole focus of the campaign behind the scenes had been to delay any sale until he was gone, since the vast majority of councillors at Tower Hamlets were opposed to the sale. Following Rahman’s removal, the outcome of the legal case was largely academic when it comes to Old Flo but, in the end, title of ownership was determined to sit with Tower Hamlets due to a legal technicality. 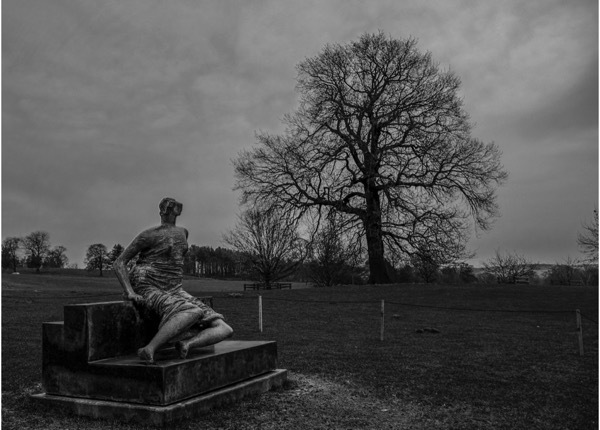 They had ‘converted’ the sculpture by lending it to the Yorkshire Sculpture Park without Bromley’s permission and six years later it had become theirs under the rules on limitation. The judge in the case supported all aspects of Bromley’s claim to title of ownership except on the single issue of ‘conversion,’ and rejected Tower Hamlets’ other claims in their entirety. The judgment is a matter of public record and can be found by clicking here. What is not recorded is that the late Norman Palmer QC, the world’s leading authority on the law of bailment, believed that the Tower Hamlets case on conversion was flawed and could be defeated by an argument that Old Flo was held in bailment which is not covered by limitation. But this argument was never pleaded in the case, so we will never know if he was correct. John Biggs, the new Mayor of Tower Hamlets, gave me his personal assurance that Old Flo would not be sold and she was therefore saved for the nation. My involvement ended in 2015 and, at that time, the plans were that the sculpture would be returned to London and displayed outside of the Museum in Docklands. This never happened and it is now destined for Canary Wharf instead, prior to installation at the new Town Hall in Whitechapel in 2020 As it stands, Old Flo remains in public ownership but her future is far from secure – as she is not held in trust, she could be sold at any time at the whim of a politician. If this was to happen, there are now no grounds to challenge the decision. The future of the remaining sculptures is also less than rosy – their title of ownership remains uncertain and the failure to address this or put them into trust has left them with no clear owner. Had Bromley won the Old Flo case then all of the sculptures would have been put into trust and protected in perpetuity, but this is unlikely to happen now and no public bodies seem willing to pick up the baton and protect this remarkable series of sculptures, some of which are falling into disrepair. 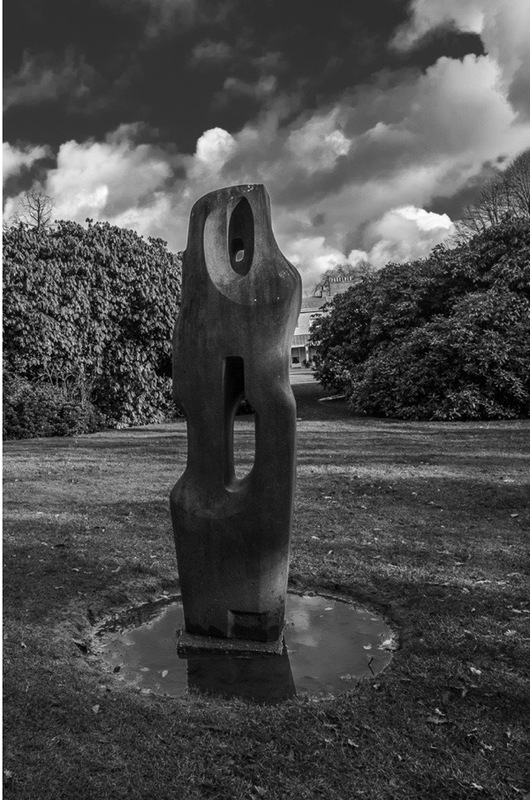 They include many works of which you may be familiar such as The Watchers by Lynn Chadwick at Roehampton College (stolen in 2006 but now recast), Single Form Memorial and Monolith-Empyrean by Barbara Hepworth, Two-Piece Reclining Figures No. 1 and No. 3 by Henry Moore, The Lesson by Franta Belsky in Satchwell Rd, Robert Clatworthy’s The Bull in Danebury Avenue, opposite Portswood Place in Wandsworth, and many more. 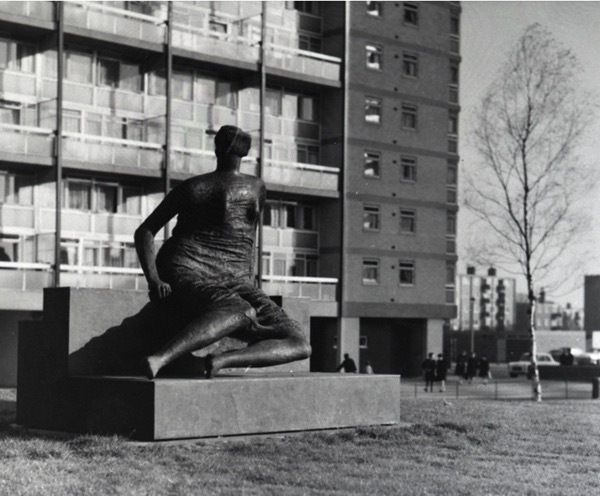 Others have not fared so well and the list of important works which have been stolen includes like Elisabeth Frink’s Birdman from Sedgehill School in Lewisham and Georg Ehrlich’s Drinking Calf from Garratt Green School in Wandsworth, while sculptures like the Henry Moore on the Brandon Estate remain at serious risk of metal theft. Someone needs to take the initiative and protect these sculptures as a legacy for London, but who is up to the task? I climbed on Old Flo every Saturday as a child on the way to shopping at Watney Market. I know every wrinkle in her dres. Such a privilege to have got to know a sculpture so well. Councils are so short-sighted. Our local council has sold off many beautiful donated art works, now in private hands and never to be seen again by the general public. Central London would be a sad place without the beautiful sculptures, monumental statues. Hope someone can see a way forward with this dilemma for old flo et al….. I think we are lucky it’s in the Gallery’s collection and not left to the ignorant “ownership” of local authorities- such a pity for the community who wish to enjoy it and have expectations that their elected representatives will protect the shared cultural property. What a fascinating story. The enlightened decision to buy the best art for the public. Then all that brilliant and passionate research and crusading zeal. But, oh dear, what an unfortunate decision by the judge. I hope someone takes up the baton and continues the fight to have these important sculptures protected. The L.C.C. should never have been abolished. The achievements of the L.C.C. in education, public works and building were quite outstanding. People like Herbert Morrison, who led the L.C.C. during the years that led to the 2nd World War, were visionaries in their belief that people would find real benefit in great works of art being placed within public spaces. The GLC was never the same as the L.C.C. it was too politicised and when Ken Livingstone and his cohort brought it into direct conflict with Thatcher’s government, there was only going to be one outcome, and so it proved. Since the instigation of a London Mayor nothing much has changed. Livingstone, Boris and Khan have all proved themselves to be lesser men in the role, especially Boris who wrought devastation by calling in 17 or 18 high profile building plans and agreeing to every single one, including that of Norton Folgate. The bare-faced audacity of Lutfur Rahman in attempting to sell Moore’s sculpture says all you need to know about this reptilian creep. It is a matter of record that many of the publicly-owned artworks (and they are OWNED by the public, not local councils) have been stolen, sold and destroyed due to the greed, careless-ness and stupidity of the people who think they are the masters. So credit in large measure to Mark Richards and his accomplices for defying and defeating those who have regard for public art, or indeed, the public. We can only hope that Old Flo is safe from the clutches of the philistines for ever. If only we could get the rest of the lost artworks back. There are still many beautiful sculptures, statues, friezes and decorations, designed by great artists, to be found around London, if you know where to look, but not as many as there should be. Mark, thank you so much for applying the ‘legal brain’ of MoL as well as LMA’s expertise to this. There may yet be a different outcome. And a certain circularity. In 1914 the LMA’s ‘owner’ (the City of London Corporation) exceptionally ‘gifted’ — “for the enjoyment of the people of East London” — the freehold of the land that I’ve been asking ‘Tower Hamlets’ to allow Old Flo to come home to, 10 minutes walk from the now demolished Stifford Estate. Thank goodness for Hansard. And the full public record City of London (Various Powers) Act 1912. Over the years since the title to this riverside site has passed from the LCC to Stepney’s ‘Metropolitan Council’ to L.B Tower Hamlets, the original 1914 deed of transfer (and details of the restrictive covenants), the accounts of the Mansion House Fund, and the Minutes of King Edward Memorial (London) Committee [a public fund-raising body with a roll-call of the Great and the Good as benefactors directing the re-assignment] are all said to have ‘gone missing’, even though the principle person facilitating this act of remarkable philanthropy — Public and corporate — was none other than Sir Thomas Vezey-Strong, Master Stationer, and the Lord Mayor 1910-11. And the person now being asked, amongst others, was none other than the The City Solicitor, by the City’s Director of Open Spaces. For the 9 months leading up to and indeed throughout the ‘Old Flo’ procurement process earlier this year — which resulted in Sir George Iacobescu’s Canary Wharf Group being named as temporary ‘host’ for the next 3 years, not least on account of them having a ready site, the security infrastructure and suitable insurance already in place — I was in discussion with a third-party corporate patron who’s willing to cover the associated costs of relocation, repair, custom-built accommodation, security and insurance for the foreseeable future from 2020 onwards. I’ve also had a one-to-one discussions with the said CEO, who is personally committed to doing what he can to ensure a ‘local outcome’ that would ‘seat’ Old Flo somewhere between Copehagen’s Mermaid and New York’s Statue of Liberty, geographically and socio-politically! If Old Father Thames was to have a mistress waiting for him in Sailortown of Old surely she would be called Old Flo’ ? More than happy to discuss and to help with the ‘long hours’ and hard work — to prove ‘it can be done’, for this one Henry Moore and then others, one by one or en masse. In the haste to disassemble the GLC in the early 80′s ,many millions of pounds worth of unrecorded public assets were passed from authority to authority without audit trails.Public art was just one area. In breaking up the GLC the baby was truly tipped out with the bath water.It’s true KL etc did their best to antagonise the Thatcher govt….I remember the unemployment stats being displayed on the roof of County Hall facing the HOC! For all the perceived “savings”of deconstructing this layer of local govt.I’ve never seen one tangible improvement to the daily quality of life for Londoners. The travesty of County Hall becoming a hotel and the Mayor and the City Hall GLA talking shop doesn’t feel like an improvement to me. I was proud to work for the GLC..
After the war local authorities were aquiring art for public spaces and appreciation. Now public art is being plundered for private gain and spaces. This parallels the journey of the NHS which was set up for everyone free at the point of need and is now being privatised. Brilliant article. How I love these massive modernist sculptures in their proper working class environment. I look forward to seeing the sculpture . Then I found this article about Draped Seated Woman about it being sold to a gallery in Australia. I am a little confused! Eleanor, there are multiple copies around the world of many of Moore’s sculptures; since they were cast bronze, more than one was cast in many cases.